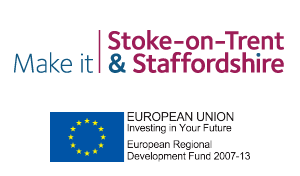 Welcome to the Staffordshire and Stoke-on-Trent FREE venue finding service. 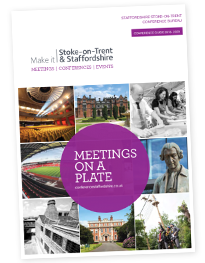 Staffordshire and Stoke-on-Trent has a fantastic range of unique and quirky venues perfect for incentive experiences and partner programmes and we are here to help! All our venues are unique in their own way, from pottery museums to theme parks, we really have it all, not to mention the fantastic range of free services we offer; including our free venue finding service (with 5 hour turnaround for full proposal) and accommodation booking, as well as help and advice with suggestions for partner programmes. The clay soil of the National Memorial Arboretum, in Staffordshire, provides the foundation for almost 30,000 young trees, thriving living tributes to tremendous acts of service and sacrifice that will endure for centuries. A new temporary exhibition – Mighty Oaks, Coiled Clay - featuring work by illustrator Mark Frith and ceramicist Charlotte Barker, explores these two materials that are fundamental to the site.